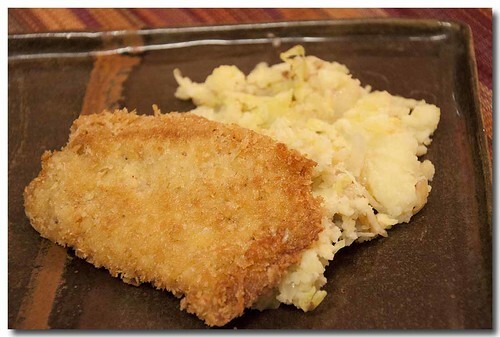 Juicy, tender pork chops with a nice crunchy coating. The supermarket had a BOGO on some thick, boneless, pork loin chops. The chops were pre-seasoned with Mr. Grill, I don't know about Mr Grill, but the buy one, get one, offer was too good to pass up. 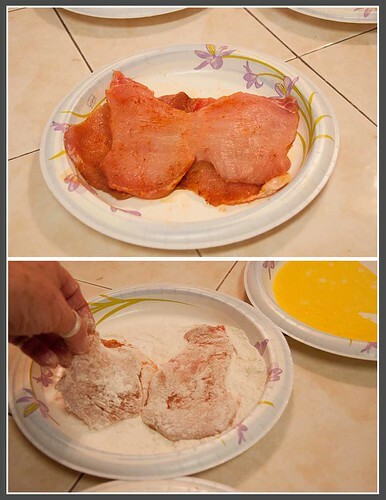 I thought if worse came to worst I could rinse the seasoning off and do something with them. The Mr. Grill isn't all that bad so I gave them the panko treatment, fried them, and served with some potatoes. 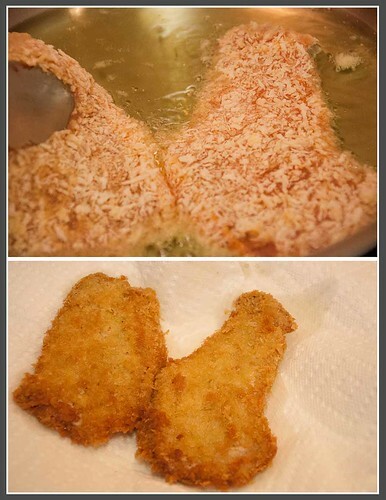 I did the flour, egg, panko routine. Since the chops were already seasoned I didn't add any seasonings to the flour. 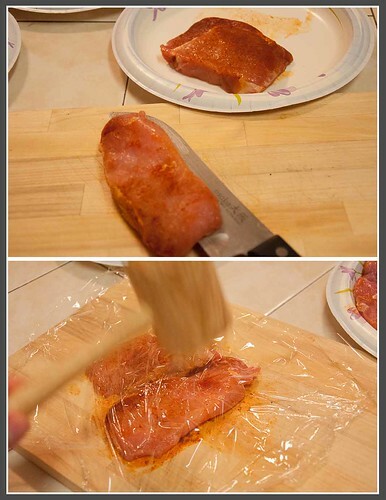 The chops were pretty thick so I cut them in half and pounded them thinner under some plastic wrap. 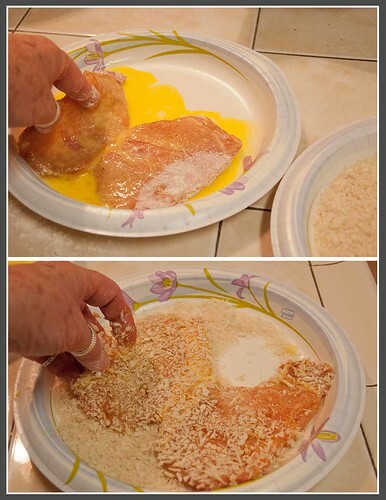 then an egg wash. Let the excess egg drip off the chop then put right into the panko. Into hot oil and fry for about 3-4 min per side until cooked and golden brown. I'm not real keen on frying, not necessarily for health reasons, but because I'm a scaredy cat and I have visions of the frying pan catching fire and flames shooting throughout my kitchen. I will however, overcome my frying phobia to have this meal again. In large frying pan, add oil to about 1 inch and heat to 350*F. While the oil is heating prepare the chops. 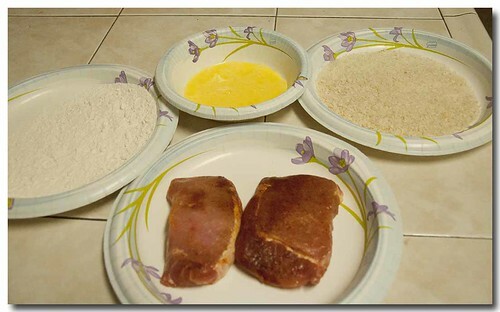 Dust each pork chop with flour, dip into beaten egg, drain off any excess egg, then into panko making sure the chop is completely coated with panko. Add to hot oil and cook until golden brown, about 3 minutes each side, depending on thickness of the chop. Remove from oil and drain on papertowels.